Apr 20 2017 - In yet another tragic incident related to child marriage, a teenage girl from Akkelpur upazila of Joypurhat committed suicide by hanging herself from the ceiling in her living room. 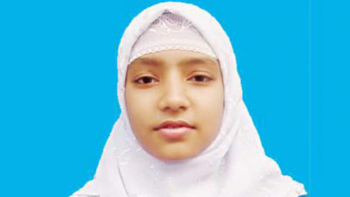 Fifteen-year-old Marjia Sultana killed herself finding no other way out of being married off by her family. While many of us cannot even imagine the anguish Marjia must have been feeling there are millions of girls in the country who can. According to UNICEF, 52 percent of girls in Bangladesh are married off before the age of 18 – one of the highest rates of child marriage globally. Marjia’s suicide must be seen in the context of the dangerous extent to which child marriage has been normalised in our society today. Although the Bangladesh government aims to end child marriage by 2041 the new law that allows for child marriage to take place under “special circumstances” is completely contradictory to the government’s global commitment. Despite protests by activists and rights groups that the new law will encourage and legalise child marriage, the law was passed. The least that the government can do now is ensure that the special provision in the law is not misused. Furthermore, the role of civil society today is more important than ever in the fight against child marriage. Awareness campaigns need to be vigorously carried out, especially in rural areas, and committees in schools should be created to disseminate information about legal help and lend support to students regarding child marriage.